ECYD is Regnum Christi's Youth organization. It is an international association of adolescents age 11-16 who make a pledge of friendship with Christ and with each other to build up a new world according to the Gospel. Its mission is to collaborate with Christ so that he might reign in the hearts of adolescents and in the world. ECYD Programs are its apostolic and formative initiatives organized to meet adolescents' needs and that contribute to the growth of the adolescents, of ECYD and of evangelization. Challenge and Conquest are two of the most institutionalized ECYD programs that are comprehensive youth ministry resources providing method, curriculum and materials with access to a national network of ECYD events, mentors and training. The training and support coordinator is responsible for overseeing the delivery of training and support to personnel currently running ECYD programs and ensuring the on-going bridging/relationship between ECYD and its programs. Position is responsible for conducting in-person training for adult leadership and initial training for team leaders, for on-site training, for institutionalizing the content of training particularly for the adult leaders, for coordinating with the ECYD Directors for the on-going training of the team leaders and any other training resources for a better implementation of the ECYD programs as doors to access ECYD and platforms to live ECYD life. Position is responsible for the on-going support of those currently using the program via phone support, coaching groups, and in-person visits. They are responsible for identifying, forming and coordinating a team of volunteers who train and support locally as members of the ECYD Directive Teams. Position teams with the Sales Promoter of ECYD Programs to follow up new buyers, with the ECYD Coordinator and ECYD Training Project Manager to bridge those using our programs with ECYD and build resources, and with the Resource and Product Specialist to develop or update any needed resources. Position makes important strategic contributions and is a key part of the ECYD Programs team underneath the area of ECYD within the Evangelization Department of Regnum Christi. Special Knowledge, Skills, or Abilities: • Basic knowledge of Regnum Christi and ECYD, familiarity with the Statutes and principles of apostolic action. • Have or be willing to acquire knowledge of the ECYD formative approach and skills in applying it. • Have or be willing to acquire ECYD Week Certificate and ECYD Mentor Training Program enrollment. • Basic knowledge of adolescent psychology. • Basic knowledge of the Catholic faith and pastoral work with young people. • Relationship and communication skills. The position is a person-to-person relationships job communicating via various means phone, in-person, email, and video technology. • Coaching and mentoring skills. • Event management and coordination skills to be able to effectively produce and coordinate on-site training days and weekend events for adults and teens. • Public speaking skills. Position is to give on-site training with various sizes of audiences and various audience backgrounds from high school teens to young adults to moms and dads, to priests and consecrated personnel. • Ability to do on-site training and apply an experiential approach to training. • Knowledge of or ability to acquire knowledge of the legal requirements of working with minors, safe-environments and the administrative processes/procedures of Mission Network Programs, Inc. and RC Activities, Inc. • Ability to work with people; both team work and relationship building. Collaboration, team player, interpersonal skills. • Ability to work independently, creatively and according to priorities. The position is a remote position and requires self-motivation, initiative and innovation. • Out of town, overnight travel is required. Some international travel primarily in the United States and Canada. ESSENTIAL JOB FUNCTIONS: 1. Train adult leaders of ECYD Programs: On-site and In-Person Training for Adult Leaders of ECYD Programs, develop the package for training with costs, operations and themes; develop a three year program of content pilot it and then institutionalize it; conduct in-person training, conduct on-site training by visiting clubs and offering feedback and support to club leaders. 2. Train other trainers: Identify, train and coordinate a team of volunteers of local trainers. Work with the ECYD Directors to be well versed and trained in the ECYD Programs so as to be able to train/support local programs. In-person meetings and regular virtual meetings and follow-up. Coordination and team work with the volunteer promoters team. 3. Support adult leadership teams of ECYD Programs: on-going Support via Phone support, coaching groups for beginners, coaching groups for veterans to share best practices etc. Develop themes for quarterly calls. Regular calls and visits to key players. 4. Collaborate with the Sales Promoter to assure that there is consistent follow-up and support once a program has been sold and started, with the ECYD Coordinator and ECYD Training Project Manager in bridging those who are running ECYD Programs with ECYD and in offering training opportunities. 5. Develop the content of any training resources, develop the Challenge/Conquest piece of the online training course. 6. Regular contact with those implementing and using products on all levels (ECYD Directors, program directors, parents, team leaders and adolescents) so as to be able to share best practices and success stories in training/supporting others and assure that we are meeting current and actual needs of the young people we are aiming to evangelize. 7. Team work with the other members of the ECYD Programs team for the on-going growth and development of Challenge/Conquest. 8. Participation in any of the national or regional events deemed necessary. 9. Other duties: This list of essential functions is not designed to cover or contain a comprehensive listing of activities, duties or responsibilities of the employee. Other activities, duties or responsibilities may change or be assigned at any time with or without notice. SUPERVISORY RESPONSIBILITIES: Oversee the team of volunteers of local trainers. QUALIFICATIONS: Preferred bachelor's degree with some training in theology and pedagogy. Preferred 3 to 5 years of experience in an ECYD Section and/or with a Challenge/Conquest Program - can include but not limited to involvement with ECYD Retreats and Summer Camps, team leader formation, CH/CQ Club leadership teams etc. Preferred experience with Catholic youth ministry in the United States and/or Canada. Certifications, Licenses, or Registrations: Safe-environment certification and satisfactory criminal background check. Valid Passport. Frequent travel and phone use. Some computer use. Participation in day or weekend training events with adults and minors. Complete respect for the Roman Catholic Church, Legion of Christ and Regnum Christi. WORK ENVIRONMENT: Office Duties and responsibilities performed from incumbent's home. Weekly virtual meetings with the ECYD Programs team. Minimum of once a month virtual dialogue with manager. Minimum of quarterly in-person meetings. Regular in-person/on-site training days/weekends/meetings with adult leaders and team leaders. Application instructions Compensation: DOE Great people to work with in achieving the Catholic Church's modern evangelizing mission in a fast-paced, charitable work environment! Interested and qualified individuals should send a cover letter, salary expectations and resume to careers@arcol.org. Thank you! Job Summary The Director of Youth Ministry (DYM) will develop and oversee the youth ministry program of St. John Church, a vibrant Catholic parish in Darien, Connecticut with over 1700 families. Youth ministry efforts will focus on teens in grades 9-12. This relational ministry between the DYM and the teens of St. John’s is focused on bringing them closer to Christ and giving them a meaningful way to live out their Catholic faith. The youth ministry program will balance the following dimensions in pursuit of this goal: 1) social 2) spirituality 3) service. St. John’s youth group currently meets on Sunday evenings after the 5pm Mass, which most of the teens attend beforehand, but the DYM is welcome to explore other models for youth group meetings if they seem more effective. Duties & Responsibilities Plan and lead youth group meetings for teens in grades 9-12, meeting on a regular basis (at least 1-2x per month). Recruit, train, and supervise youth group officers to develop their leadership skills. Recruit parents to provide dinner for Sunday evening youth group meetings and to assist with supervision of meetings. Organize and lead service projects and annual youth group retreat. Promote participation in larger youth events in the diocese and elsewhere (e.g. Fan the Fire, Convivio, Steubenville). Recruit teens to serve as readers, altar servers, and ushers at the weekly 5pm Sunday Mass. Develop activities/events for middle school aged kids to create a bridge between Confirmation and high school involvement in the parish. Promote the youth group and its activities within the parish community through appropriate electronic media. Prepare announcements for the parish bulletin. 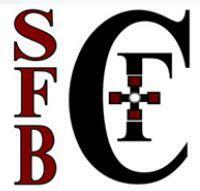 Communicate with parish staff and Parent Advisory Boardbout youth ministry activities. Ensure that parish and diocesan safe environment guidelines are strictly enforced. Take up the collection with the help of teens at the weekly 5pm Sunday Mass and ensure it is bagged and secured. Oversee youth ministry program expenses. Prepare and submit annual budget. Attend monthly parish staff meetings. Organize one large youth group fundraiser annually to raise funds for the program and create community building between the youth and the parish. Organize and lead PAB meetings at regular intervals throughout the year. Desired Skills & Qualities A sense of calling and passion for youth ministry grounded in the Catholic faith and ease in sharing that passion with youth Excellent written and verbal communication skills with both teens and adults High degree of comfort working with youth and awareness of appropriate boundaries People-oriented and service-minded Able to maintain confidentiality Organized initiative-taker able to juggle multiple projects Qualifications Roman Catholic actively practicing the Catholic faith and able to receive the sacraments of the Church Strong commitment to the Catholic faith and one’s own relationship with God Fully compliant with Diocesan policies and safe environment requirements Proficient using the computer, including Word, email, social media, and Google Calendar At least 21 years of age Prior youth ministry experience and/or training in youth ministry preferred Hours Part-time (10-20 hrs/wk). Since this is a ministry position with teenagers, hours are inherently demanding and require personal flexibility. The Church of St. Therese of Deephaven is seeking a Youth Minister. This full-time, 12-month position works collaboratively with the Youth Ministry Coordinator and a volunteer team to provide a seamless relational ministry for middle school youth and those preparing for Confirmation. Ministry includes Life Teen curriculum, weekly sessions, monthly gatherings, retreats, and camps. Qualifications: Candidates will have a high connectivity with youth and demonstrate a joyful and faithful witness to the Church. Previous experience working with youth; understanding of and commitment to the teachings and values of the Roman Catholic Church; practicing Catholic. A complete job posting is available at st-therese.org. Applicants must submit a cover letter, resume and references to Liz Lammers via email at llammers@st-therese.org no later than Monday, April 15, 2019. St. Anne is currently taking applications for a new position—Director of Evangelization and Faith Formation. The position is full-time and is expected to begin July 1. Applicants must be fluent in both English and Spanish and have experience in parish ministry. See below for more information. Interested candidates may submit a resume, cover letter, and references to Fr. David Marstall, Pastor, 2801 S Seneca, Wichita, KS 67217 or email frdavid@StAnneWichita.org . Applications must be received by Friday, April 26, 2019. Evangelization and Faith Formation at St. Anne St. Anne is a parish of roughly 1,200 registered families in Southwest Wichita. Our families are approximately 45% Anglo, 45% Hispanic, 8% Vietnamese, and 2% other. We operate a parochial school, which about 20% of the children in the parish attend. PSR is held on Sunday mornings for public school students k-8. There are 80-100 students in PSR each year preparing for First Communion as well as another 50-100 students participating in classes for their grade level. This year we have been piloting a program for First Communion in which a small group of parents participate with their children, with the greater goal of teaching parents how to teach the faith to their children. It has been successful and we are learning things to make improvements for next year. All our catechists and PSR director are volunteers. Religious sisters work to help form the catechists. The Director of Evangelization and Faith Formation will become the PSR director. Youth Group meets year-round every week and is highly catechetical in nature. We currently use YDisciple in small groups with two adult facilitators. After a year of catechesis, high schoolers prepare for confirmation through a mentoring process. This program will undergo a major renovation over the next few years according to changes in diocesan norms for confirmation. We are in the process of developing and implementing a process for preparing couples for the Baptism of a child . Inactive candidates meet with mentor couples weekly for 6 months to enter into the life of the parish. The Director of Evangelization and Faith Formation will help to continue developing the program and train mentors. MCP sisters currently help form Spanish speaking mentors. We use ChristLife to help bring adults (including RCIA candidates) into a life of discipleship and then move into ongoing, bi-weekly discipleship groups. Ongoing Adult Faith Formation is offered through a variety of programs, presentations, and special events according to the needs of our parishioners.This year, we will have more than 300 adults involved in faith formation activities. In the past, they have been coordinated and led by the Pastor and Parochial Vicar. The Director of Evangelization and Faith Formation will work to coordinate all activities and assume a more direct role in some, according to their strengths and availability. Areas of Responsibility The Director will encourage all adults in the parish to recognize their role as disciple-makers of others. The Director will encourage all people to answer their call to holiness and discipleship in living for Jesus Christ through proclamation of the Gospel, witnessing through testimony, and service to all souls in the boundaries of the parish. The Director will recruit and train catechists in faith formation and disciple-making. The Director will work with the pastor, youth ministry team, and other related parish services to conduct activities and/or experiences, which supplement formal catechesis and evangelization programs like ChristLife. The Director should recognize that effective catechesis involves “family ministry” and should find creative methods of incorporating all people of the parish and their families into all aspects and of parish life, both in and outside the walls of the church. The Director should work with parents to assist them in their role of forming their children in the faith. Parish Relationships The Director will be accountable directly to the Pastor. As a member of the parish staff, the Director should participate in regularly scheduled staff meetings, Parish Council meetings and be present at all systematic evangelization efforts of the parish (Religious Education/PSR, RCIA, ChristLife, etc.). The Director should act as the official liaison between the parish and the Office of Faith Formation for the Catholic Diocese of Wichita. He/She is responsible for keeping the policies of the Diocese in reference to safe environment, insurance, etc., and should make applicable diocesan faith formation programs available to the parish. The Director of Faith Formation should also be willing to collaborate with other faith formation coordinators at parishes throughout the diocese. Qualifications Candidates for the position of Director of Evangelization and Faith Formation should have at least a Bachelor’s Degree in religious education, theology, evangelization, or a related field. At minimum, candidate should always be willing to pursue their own further formation in evangelization and catechesis. Candidates should have some formal training in Faith Formation and Evangelization, along with experience working in a parish setting. Candidates should have a sense of parish ministry and the ability to represent and give witness to the Catholic faith. Candidates should have excellent communication skills in both English and Spanish. Candidates should be willing to be a team member and have the ability to work with the parish staff, and to recruit, train, and assemble a volunteer team of the parish to assist in the evangelization efforts of the parish. Candidates must be proficient in the use of computers and other electronic media. Weekly Expectations Personal holiness is the most effective means of evangelization. Personal prayer, living one’s vocations, and ongoing formation are expected. The time and energy required to by zealous ministry should not come at the cost of personal holiness or long-term apostolic availability. The Director of Evangelization and Faith Formation is expected to have regular office hours, and meet weekly coordinating the faith formation and evangelization efforts of the parish. The Director is expected to work approximately forty hours per week and to log every hour worked. This will include Sunday and three or four days during the week. It will normally involve being present at evening faith formation events during the week. Should the Director of Faith Formation work more than forty hours due to events that require more time, the Director may take that many hours off the following week. Even if there are many hours required (week long parish efforts, etc.) to be taken off, there is an expectation that for a minimum ONE day per week, the Director will be in the office during normal hours. For overnight weekend retreats or overnight week long events, the Director of Faith Formation may log every waking hour, but may not include time to sleep as work. The Director will work on Sundays, coordinating programs and being available to meet with parishioners before and after Mass. Salary and Benefits The Director of Faith Formation will be paid an annual salary commensurate with professional experience and/or educational background. 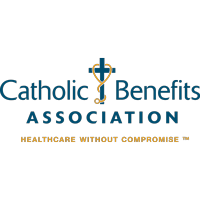 We provide health insurance, retirement, life insurance and disability insurance in accord with the Catholic Diocese of Wichita employee benefits plan.